Vann Gaitor is an experienced litigation practitioner in the areas of commercial disputes, real property disputes, employment, banking and matrimonial laws, personal injury matters, interlocutory applications of various kinds including freezing injunctions and civil procedural law. Vann began his legal career as an Associate in the chambers of Dupuch & Turnquest before joining the Judicial Department of the Supreme Court and transitioning through progressively senior positions in the Department. 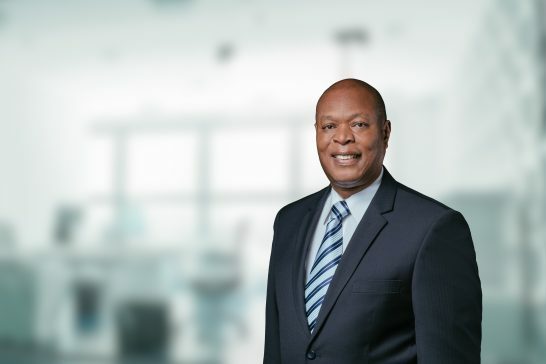 He served as Assistant Registrar and later as Deputy Registrar during the course of which he heard and determined interlocutory applications in civil litigation and assessed damages in contract and other commercial matters, tort and personal injury claims. His duties as a Register included the taxation of costs in matters reaching that stage of litigation. He also attended to all matters pertaining to probate applications in the Supreme Court. Vann has also held the substantive post of a Stipendiary and Circuit Magistrate. Vann was educated in The Bahamas and New York, earning a Teacher’s Certificate from San Salvador Teachers College, and a Bachelor of Arts degree (English Literature) and Master of Arts degree (Economic Policy and Analysis) from the State University of New York at Stony Brook. He entered Articles of Clerkship in 1984 and obtained a Legal Certificate in 1987. He was called to the Bahamas Bar in 1987. Vann joined the firm of Higgs & Johnson in 1994 as an Associate and became a Partner in 2000.